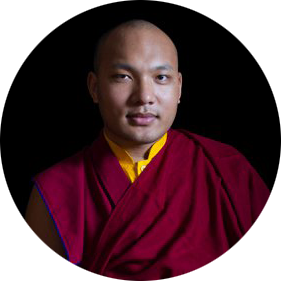 The Gyalwang Karmapa’s car passed by ordained and lay students who stood along the tree-lined road leading to Sarah College. After a brief visit to the college office, he was invited into the main hall where he was offered a mandala and the three representations of body, speech, and mind. As the Chief Guest, the Karmapa had come to confer, along with Kalon Karma Gelek Yuthok, certificates to the Lobpon graduating students, the Uma Rabjampa and the Parchin Rabjampa students from Institute of Buddhist Dialectics, which shared this convocation ceremony with Sarah College. “There is a big gap between these two types of language,” he explained, “and the colloquial gives us the most difficulty when we come to study Tibetan. This is often the case with other languages as well. When I studied Korean, I was told ‘You write it like this, but you have to learn the colloquial differently.’ This divergence between literary and spoken languages is similar to Tibetan. The pronunciation of colloquial Tibetan changed over time as letters became corrupted and left out. This situation makes it hard to discover what the actual pronunciation was. 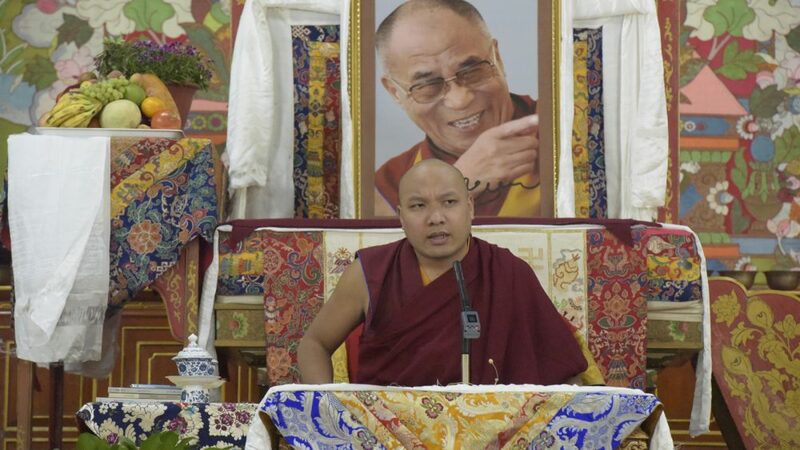 Shifting to the topic of Tibet’s future, the Karmapa warned, “In Tibet, the numbers of those opposed to Dharma and to Tibetan cultural traditions are gradually increasing. On the one hand, this is happening all over the world, so it is not surprising. However, we Tibetans have arrived at a critical juncture, when it is of the utmost importance that all of us work together and keep our minds in harmony. Of course, people have their own way of thinking and philosophy, but if this leads to great social disturbances and entrenched opposition, the Tibetan society will be dismantled and destroyed. 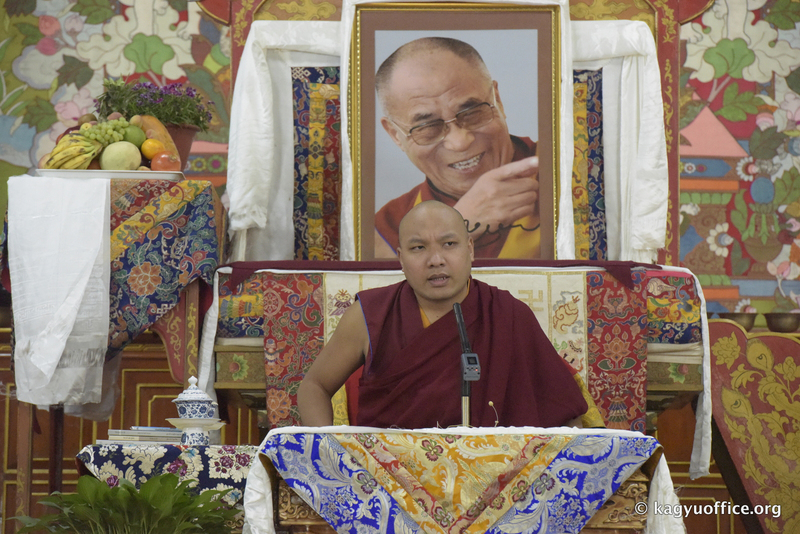 At the end, the Karmapa ended with his congratulations to all those who completed their studies and a special greeting to Taklung Shabdrung Rinpoche, who received his Uma Rabjampa degree.